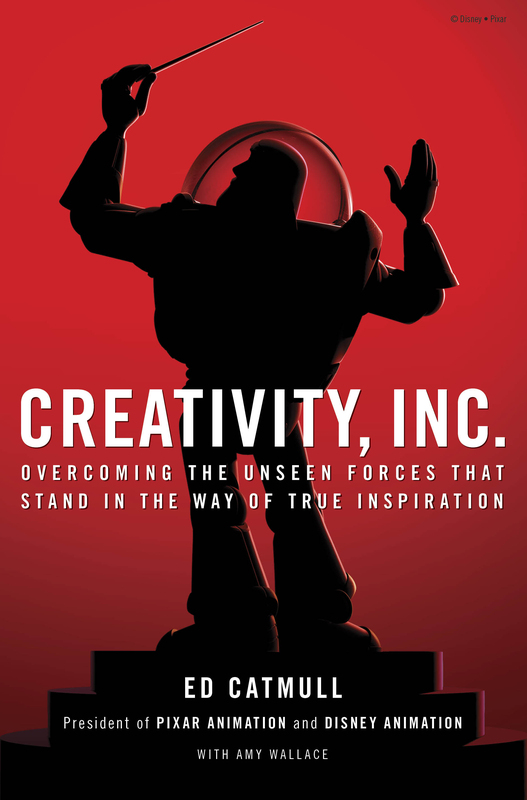 Ed Catmull’s Creativity, Inc. is a memoir that explores and analyzes the history and creative life of Pixar, the American computer animation company. Catmull, one of the founders of Pixar, its current president, and an accomplished computer scientist, untangles the complex business of how to build a sustainable creative culture (xiv) that thrives by continually asking questions about its work and how to do it better (64). Creativity, Inc. brings a scientist’s rigor to the problem of how a group of creatives collaborate to make compelling animated art. The most striking aspect of Catmull’s narrative is the strange joy the author takes in recognizing and solving problems with a clear head. Catmull seems to thrive on problems small and large, because problems indicate not only new idea terrain, but also opportunities for improvement. It’s almost as if problems are themselves kinds of creative ideas, waiting for deeper understanding, one step at a time. At Pixar, ideas don’t come out of thin air–they’re “not singular. They are forged through tens of thousands of decisions” (75). In this way, creativity is about problem-solving and takes time. Pete Docter, director of Pixar’s film Up, tells Catmull that he simply makes lists of problems: encountered in his work “Having a finite list of problems is much better than having an illogical feeling that everything is wrong” (151) he says. Good advice. A persistent theme in Creativity Inc. is proceeding in the face of uncertainty, randomness, and the unknown, and it’s in this regard that the book might resonate with many readers. For Catmull, the key is recognizing the complexity in what we don’t know and what we can’t predict. In fact, the “unpredictable is the ground on which creativity occurs” (148). He urges us to embrace the unknown, but not to do so with blinders on “in the interest of keeping things simple” (157). Sometimes–oftentimes–new situations are complex and layered. Catmull revels in complexity and figuring out better ways of doing things as Pixar creates its films. One strategy used by the company is to focus on what Catmull calls microdetails–tiny elements that inform the look and feel of a work on an almost subliminal level. Microdetails are “a hidden engine” (198) of creative work that lend it authenticity and conviction. Pixar employees go to great lengths to acquire such details. For example, they take field trips to research places and things (i.e. the kitchens of French restaurants for the film Ratatouille) to build a vocabulary of mircodetails that will inform their future work. Other strategies used include self-imposed limits and tricks of perception. Catmull spends several pages explaining some drawing exercises inspired by Betty Edwards’ classic book, Drawing on the Right Side of the Brain. One technique is to place an object we want to draw upside down so it can be looked at “as a pure shape and not as a familiar, recognizable thing” (212); another is to focus on the negative space around the object. These lessons are intended to help us “see shapes as they are–to ignore that part of the brain that wants to turn what is seen into a general notion” (ibid). There are some general notions here that extend beyond the act of drawing. Catmull observes that a trained artist “is able to capture what the eye perceives (shape, color) before their ‘recognizer’ functions tells them what it is supposed to be” (212). In short, trained artists–and here I don’t think Catmull means just animators–have “learned how to turn off their minds’ tendency to jump to conclusions” (213). Catmull is getting at a technique for altering the limits of perception that could be useful to anyone who makes things: “to learn to suspend, if only temporarily, the habits and impulses that obscure your vision” (214). Speaking of vision, given Pixar’s track record of hit films, a peculiar challenge they face is how to stay fresh and nimble despite their successes. Building on the Betty Edwards drawing exercises, Catmull mentions a few pages later the Zen notion of “beginner’s mind” (222)–carrying on as if you don’t know anything, paying attention to the present moment and “trying to set up our own feedback loop in which paying attention improves our ability to pay attention” (222). When a beginner’s mind isn’t feasible, having useful mental models is. It doesn’t matter what metaphor you use. What matters is having “a mental model that sustains you” (224). What makes Creativity, Inc. such an engaging read is that its meta-theme is ecological: the sustainability of a creative culture. To keep our work vibrant, Catmull reminds us, “we must not be afraid of constant uncertainty” (295) and the fact that “complex systems respond in nonlinear, unpredictable ways” (310). In other words, we’re surrounded by chaos. But isn’t part of the fun of creativity figuring out how we might make some sense out of it all?